NCERT Books plays a vital role in the preparation of UPSC Exam as it lays a strong grip on various concepts. UPSC Exam is one the prestigious exam that is conducted by Union Public Service Commission. It is one of the highly competitive exams that is conducted at recent times. It is an examination that is conducted at three levels - Preliminary Exam, Main Exam and Interview. Based on the results they are hired for different posts namely IRS, IPS, IAS, and IFS. 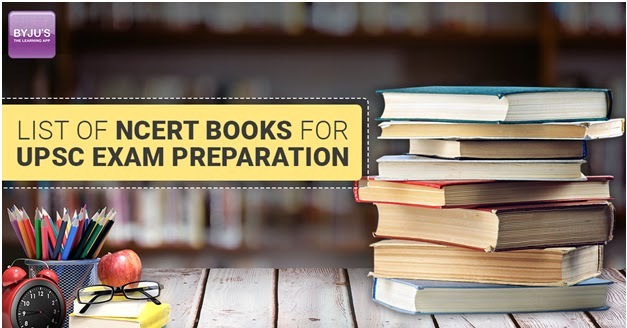 In Order to achieve good results and to be successfully hired one need to be confident and should prepare with books that give a perfect kick-start. There is lots of hype about NCERT Books and due to this a question may arise why to opt these books while preparing for competitive exams. You might have heard this several times from many people or maybe by your friends, IAS aspirants or in some coaching centres. There is a valid reason behind this. Most of the questions appear from these books that mainly appear in the first level of examination. Basically being the textbooks it is written in a very simple language that is easily graspable. It is suggested to go through NCERT Books that are available from class sixth to class twelve for related concepts. Beneath are the list of NCERT Books for UPSC Exams that are helpful for general studies. Spectrum (Concept) - Science and Technology in India. Reports of the Ministry of Science and Technology Yojana. The above books are of level tenth. History of Modern India Raghavan Aiyer. The above books are of plus two level regarding Ancient, Medieval and Modern Indian. Indian Economy by Dutt and Sundaram or by Mishra and Puri. Our Parliament by Subhash C. Kashyap. Bhartiya Rajya Vyavastha by N.L. Madan. Indian Constitution by P.M. Bakshi. The above books are of plus one level of Indian Political Systems. Monsoon Asia Reports - Charles Farro; Published by Tata Energy Research Institute and Centre for Science and Environment. Yojana and Kurukshetra - National journal. India- A Comprehensive Geography - Khullar. Book for Physical Geography of India from class tenth to class twelve. Social Welfare Magazine published by Ministry of Social Welfare. Comments "List of NCERT Books for UPSC Exam Preparation"